Feeding is one of the most challenging aspects of owning a pet reptile. Most reptiles have very precise dietary needs, not only in terms of the types of foods they need — plants, meat, fruits, vegetables, etc. — but also in terms of the quantities of nutrients they derive from each type of food. 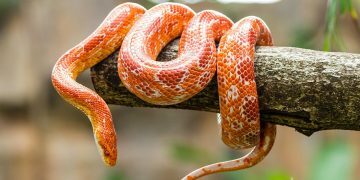 Though every reptile’s diet will be different, take a look at some of the common foods reptiles eat and how they should be given. Reptiles eat a variety of worms, from wax worms and mealworms to silkworms and pinworms. Often these are given as a treat or to help fatten up the reptile, but in some cases they are part of a regular, balanced diet. For some reptiles, live crickets are the best fare, as the movement draws their attention and they are more easily able to find the food. For others, it’s best that the crickets are dead or at least frozen to prevent damage to the reptile as it eats. In many cases, the crickets should be also “gut-loaded,” which means that the crickets themselves have been fed nutritious foods before they in turn are fed to your pet, so the nutrition will pass on into the reptile. 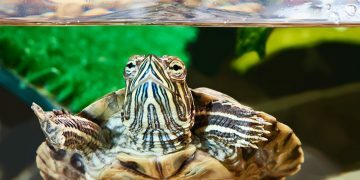 Thinking about getting a reptile or amphibian? 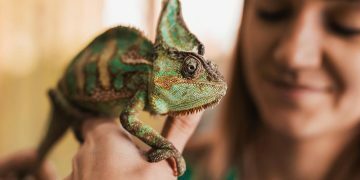 Here's what you need to know about reptile pets before you go out and make the purchase. As with crickets, it is possible to feed certain reptiles live mice, but most are best fed dead or frozen mice so that they won’t be damaged while eating. Not all reptiles are capable of eating full-grown mice, either. Many feed off “pinkies,” which are essentially baby mice with no fur. These make a more reasonably sized meal appropriate for younger or smaller reptiles. Watch for signs of lethargy or weight loss. This likely means your reptile isn’t getting enough food or isn’t drawing enough nutrients from the food it is receiving. Many reptile experts recommend coating your reptile foods in vitamin powder for extra nutrition. Remove excess food. Uneaten food can lead to contamination of your reptile cage or illness if your pet returns to eat it after too long, so be sure to clean up any remaining food after a reasonable amount of time. Avoid overfeeding and underfeeding. It’s best to stick to the recommended meal guide for your pet. Though there is a little bit of wiggle room, overfeeding and underfeeding can cause your pet’s health to deteriorate and increases the risk of illness.